Imagine having an exciting and rewarding career that gives you the opportunity to make a living doing what you love while making the world a better place. 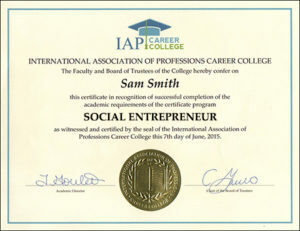 Welcome to social entrepreneurship! Do you feel inspired to use your talents to help others? Would you like to change the world, or change the lives of a group of people? Do you feel passionate about the environment, human rights, education, literacy, health, or another cause that benefits humanity? Now is the time to start doing work you believe in by becoming a social entrepreneur and starting your own nonprofit business. As a nonprofit business founder (also known as a social entrepreneur) you can get paid to do good. Although you can't personally earn a profit when you start a non-profit organization, your nonprofit business can create a job for you doing meaningful work that benefits society. As founding member of a nonprofit business you will decide how to run the organization. You will lay the groundwork for deciding what issues to address, what programs to run, and how to spend your funds. When you start a nonprofit business, you can directly help the people who need it. Your programs could change people’s lives and their futures. As a social entrepreneur, you'll enjoy freedom from the “rat race” and use a new kind of measuring stick for your achievements: one that measures dollars raised, lives changed, and people helped. You may travel the world for your cause, meeting with world leaders or people grateful for your help. For many social entrepreneurs, having hands-on involvement and seeing the immediate results of their effort are great rewards and motivators. With Americans’ charitable giving hitting a record-breaking $295 billion last year, there has never been a better time to become a social entrepreneur and start a nonprofit business. If you have the desire and determination to see your dream become a reality, you can become a social entrepreneur and start a nonprofit business. No special education or experience is necessary to break into this career and succeed. Some paperwork and filing fees can get your nonprofit started. How do you get both “tax-exempt” and “tax deductible” status? How do you establish credibility for your nonprofit business? How do you raise awareness and get free publicity? How do you get government grants? How do you get donations from individuals and corporations? How do you organize fundraising events? What are potential problems and how can you avoid them? You can find answers to these questions, and much more, in the FabJob Guide to Become a Social Entrepreneur. 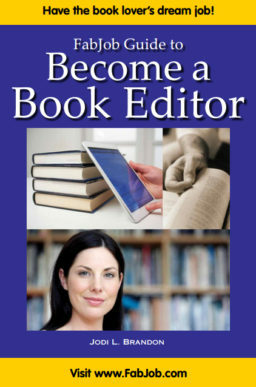 If you would like to start a nonprofit organization, this e-book is for you! 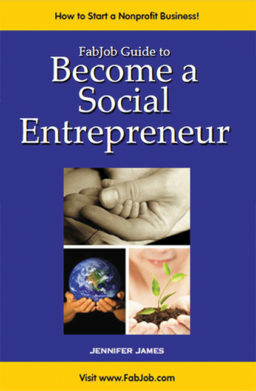 In this e-book you will discover how you can successfully become a social entrepreneur and start a nonprofit business. You can start planning your nonprofit business right now, as you move through the pages of this guide. The author of the social entrepreneur guide is Jennifer James, a leading writer and editor of career and business guides, who worked for several years heading up the revenue-generating venture of a national nonprofit organization. In this guide she shares her insider tips and expert advice to help you become a social entrepreneur and achieve success with your own nonprofit business. You can have all this and more for an incredible price. It can cost hundreds of dollars to take courses on starting a business, and chances are they will not include specific information about starting a nonprofit business. The FabJob Guide to Become a Social Entrepreneur contains some of the best nonprofit business advice you could get from other sources, and more. The information in this guide can save you many hours of research, help you avoid some costly mistakes, and give you information you need to successfully start your own nonprofit business and become a social entrepreneur. You can earn back the price of the guide with your very first fundraising event. With this guide you can become a social entrepreneur and start your own nonprofit business much more quickly and cost-effectively. If you believe you deserve to have the career of your dreams, this guide is for you. 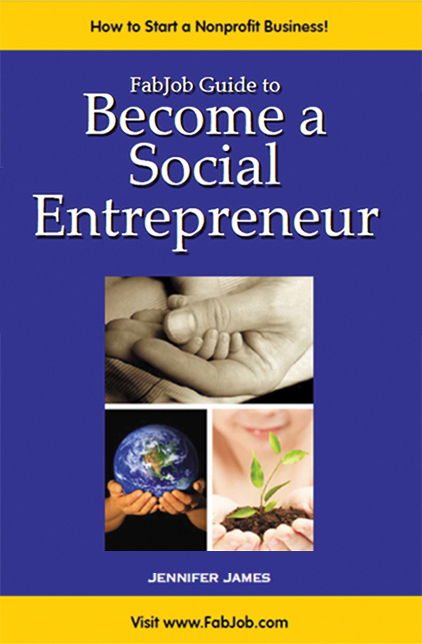 It gives you what you need to know to start your own nonprofit business and become a social entrepreneur.